Poor sower of seeds with a gift for dreaming, Jacko Jacobus knows that his destiny is to found a people to shake the nations. But when he has to flee Jamaica to escape his brother's wrath, he finds himself pushing crack for his Uncle Al in South Carolina. 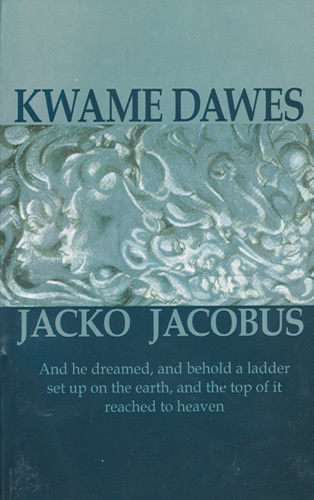 In writing his dub version of the myth of Jacob and Esau, Kwame Dawes builds on a gripping narrative of prophecy, love, deceit and murder to address contemporary Caribbean realities; and in portraying the conflict between Jacko's trickster, anancy inventiveness and the narrow righteousness of his brother Eric's path, he explores the universal tensions between Jacko's sense of duty as the chosen instrument of God, and his desire to make his own way, whatever the consequences.